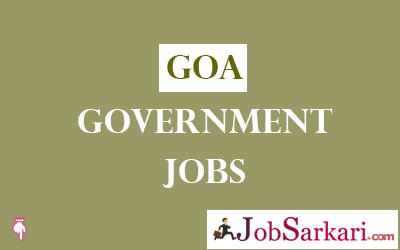 Goa Government Jobs page will help you to find more jobs announced by Goa Government. Goa Government Jobs provides a large number of opportunities to the candidates preparing to get Govt Jobs in Goa. Every year Goa Government releases recruitment notifications on their official site www.goa.gov.in for all available Government jobs in Goa. Goa state government has different departments like agriculture, police, railway, defence, banking, teaching, research & development, pharmaceutical etc., depending on the age, educational criteria, positions, exams etc candidates can apply for the latest govt jobs in Goa through Jobsarkari.com, we update you with latest & upcoming jobs in the earliest with detail job information & description. Bookmark this Goa Govt Jobs page by pressing CTRL+D and keep visiting our website on regular basis.